BROGAN NUGENT: Improving My Tattoos! Anyway, 2 years ago, I went with my friend Joanne to get a tattoo done. Well, it was two. One on each wrist. 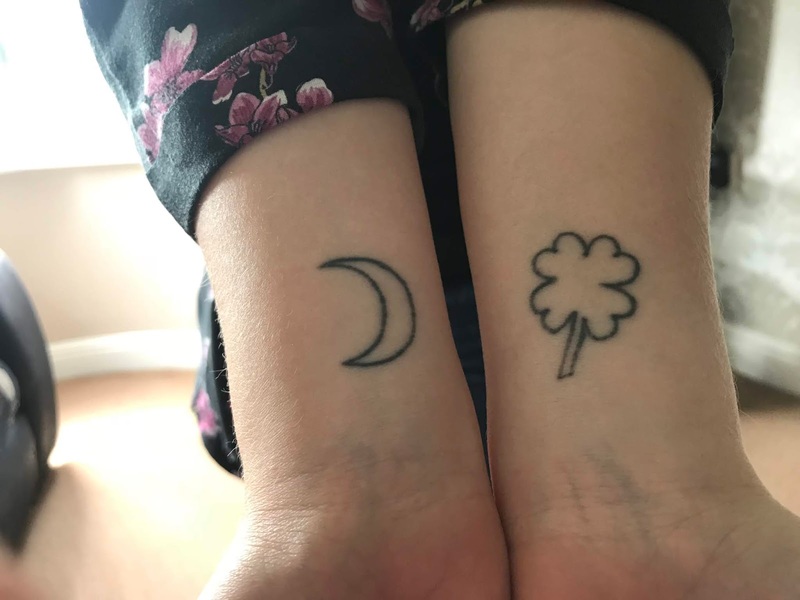 The tattoos were linked, and had two meanings to them. 1. The four leaf clover represented my niece (and now nephew, now that he’s born). 2. It also represents a One Direction song: End Of The Day. 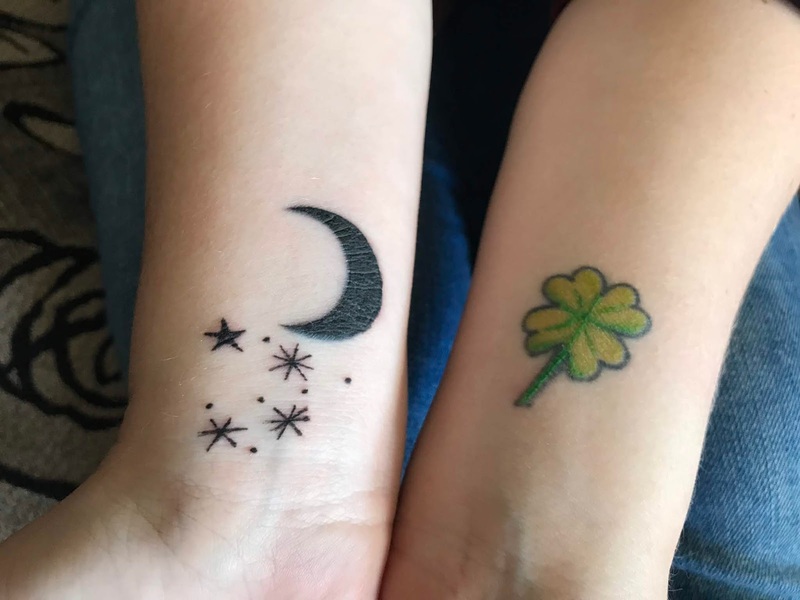 “Just Me, Her (Mollie & now Oisin so them), and the Moon.” (The second tattoo on my other wrist). And I was a bit… I wasn’t satisfied with how it looked basically. And I have gotten sick and tired of explaining what the four leaf clover is; “is it a broccoli?” “Is it a tree?” No, it’s a four leaf clover 🙄, so I finally decided to get something done about it: get it redone. For me, even though the whole fear of saying no to someone is a big thing in my life; I really wanted to get this redone, as it was a symbol of something big and important in my life. So when my mum and I finally arranged an appointment to get it done on Wednesday (20th June). Full of nerves and eager to go, I finally made it. I'm not going to lie, I did apply numbing cream. Is that cheating??? It's not really when it didn't fecking work! Story of my life. So I went in with shaky hands and butterflies in my we arrived at the tattoo place. The pain wasn't as bad as I originally made it out to be. I have really sensitive skin and I hate pain. Because it's on the inside of my wrist as well, I was obvs really nervous. Turns out. as soon as you get used to the feeling, it ain't too bad. I am absolutely obsessed with them and I love them so much! If you're thinking of getting a tattoo done, but you're worried about the pain, it's not as bad as you think, honestly.